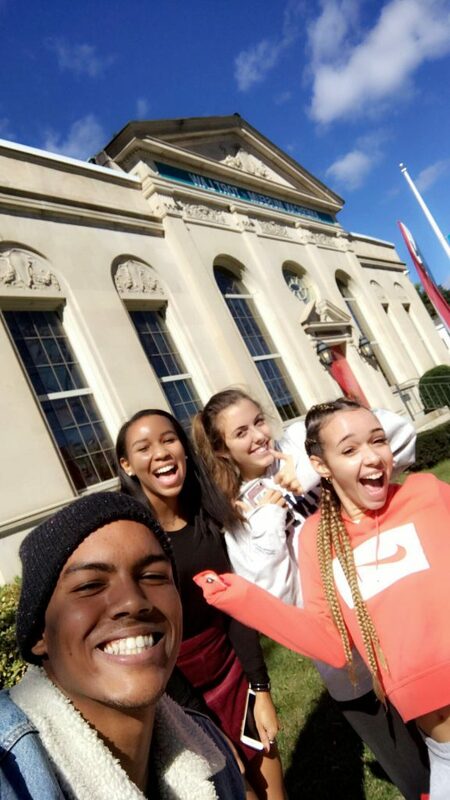 Caila French, Emma Buckley, Jessica Jones, and Marshal Cohen pose for a selfie in front of the American Museum of Tort Law. Photo courtesy of Marshal Cohen. Professor of the Practice Glenn Falk and his Fundamentals of American Law class visited the American Museum of Tort Law in Winsted, Connecticut on Wednesday, October 10, 2018. The museum, founded by Ralph Nader in his hometown, “educates and inspires people about the benefits of trial by jury and tort law,” according to their pamphlet. Tort law, says Nader in “Suing for Justice,” evolved from medieval English law and later grew because of “millions of actors and judicial decisions that proceeded in small but steady advances” (57). Nader then traced some decisions of note and the efforts by many, from insurance companies to the pharmaceutical industry. Ultimately, Nader highlights the imperative nature of the “marvelous right to trial by jury,” which, as he posits, “requires a most robust defense.” You can read more about tort law and its varied history by reading Nader’s article here. 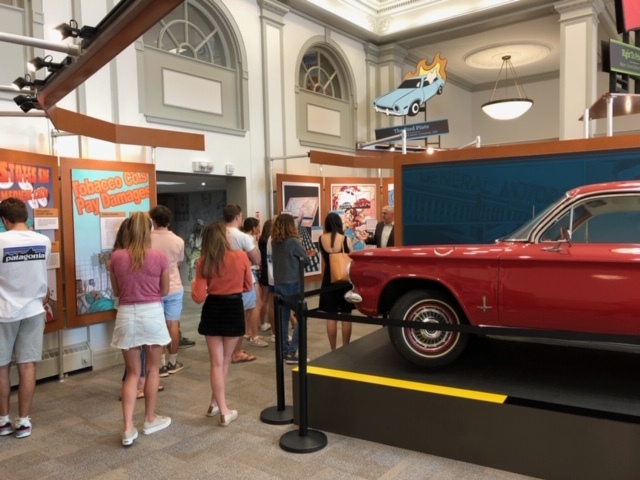 Students tour the displays inside the American Museum of Tort Law in Winsted, Connecticut. Photo courtesy of Glenn Falk. If you would like to visit the museum for yourself, the drive is only about an hour away from Trinity at 654 Main Street, Winsted, CT 06068. The museum is open from 10:30 a.m.-5:00 p.m. from April 1-December 31 and is closed on Tuesday. You can learn more by visiting their website at http://www.tortmuseum.com or by calling 860.379.0505. This entry was posted in Focus on Faculty, Special Events. Bookmark the permalink.